â€¢ Screen plates are made of wear-resistant steel, quick and easy maintenance. â€¢Â Final moisture less than 7%. â€¢Â Data monitoring and analysis. 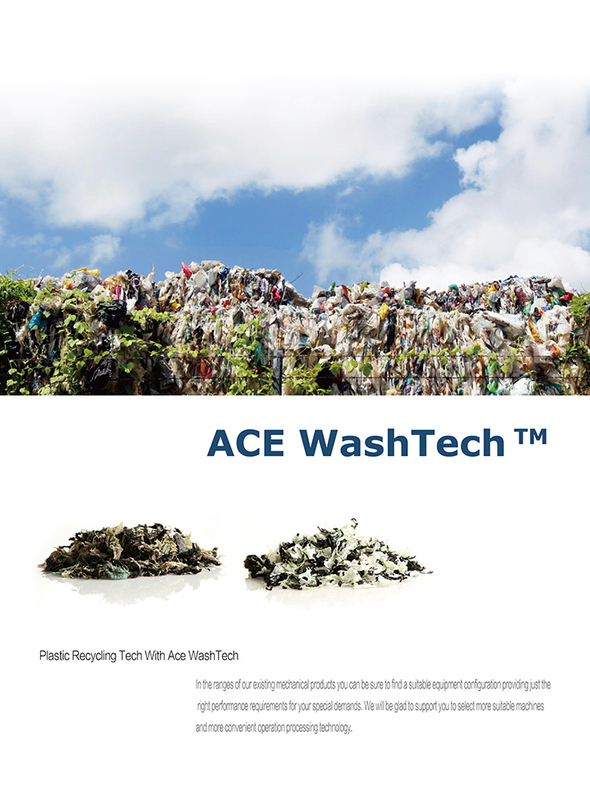 Thanks toÂ innovative washing technologyÂ and high quality performance.Â ACW system removes the most difficult contaminants from PP/PE/PS/ABSÂ plastic materials. 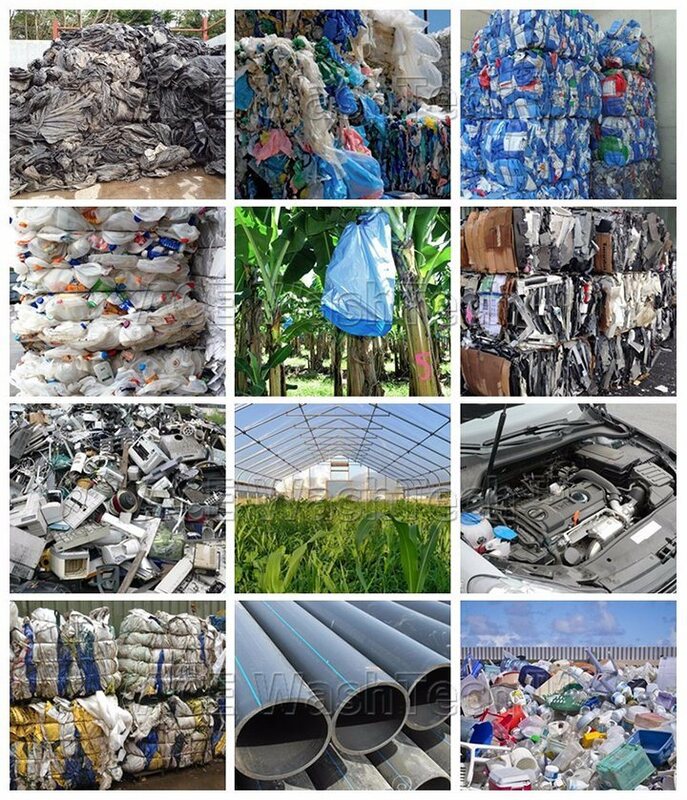 Cleans post consumer film, agricultural film, Rigid bottle/drum, Battery case, WEEE plastic and even heavily contaminated wovenÂ bag fibre material. Provides almost 100% purity washing results. ACW system is available for 24 hours workingÂ non-stop operation. Optimized design and top brand components to each module. Which could minimize the downtime ratio and save the maintenance time. This ensures the maximum availability and highest productivity for user. ACW systemÂ is a flexible modular system. All elements required byÂ any customer for different application couldÂ be combinedÂ freely. This design reduces planning, construction and assembly time effectively. And it's possible to adjustÂ the system with regard to technological modification and market changing.Â This makes the investment future-proofing! ACW system is a flexible and customer-oriented recycling solution. The proposal is integrated and engineering project. Building design, overseas installation, commissioning and training are available. Machine warranty with spares in stocking and in-time delivery. Consistently quick and careful service in pre-sales and after-sales process.